To create a school that feels like a home away from home for children and their families. A school where parents can feel confident that their children are receiving the best care and education. Our mission is to connect children to the love of Christ through nurturing and educating them in a faith based program. We recognize that each child has individual needs and the need to succeed. 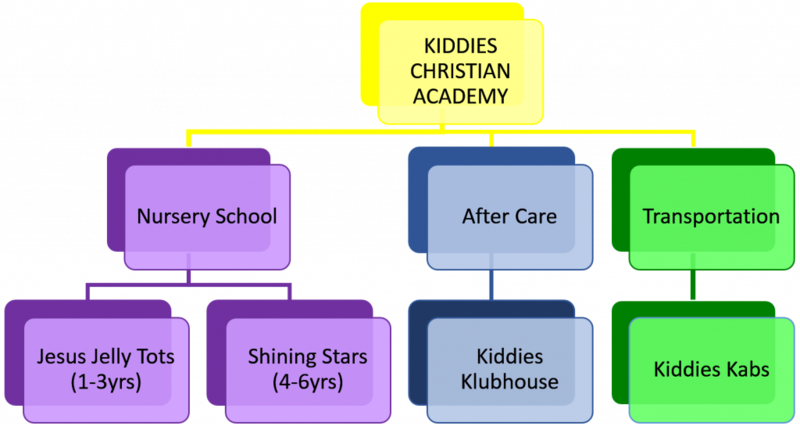 Here at Kiddies Christian Academy we are ready to assist in fostering each child’s ability in a learning impacted environment that addresses each development domain: social, emotional, cognitive, physical and spiritual. Kiddies Christian Academy aims to help fulfill your child’s God-given potential through quality education. 80% of a child’s brain is developed by the age of 4 – therefore activities are presented in such a way as to maximize a child’s development. Our Christian foundation makes us believe that every child is unique and important and thus we strive to lay a solid foundation for the child’s future. What a child thinks of him/herself influences everything they do; they need assurance that they are special, created in the image of God and worthwhile as individuals.